Manfred Eicher strikes gold with yet another inspired melding of musical minds. 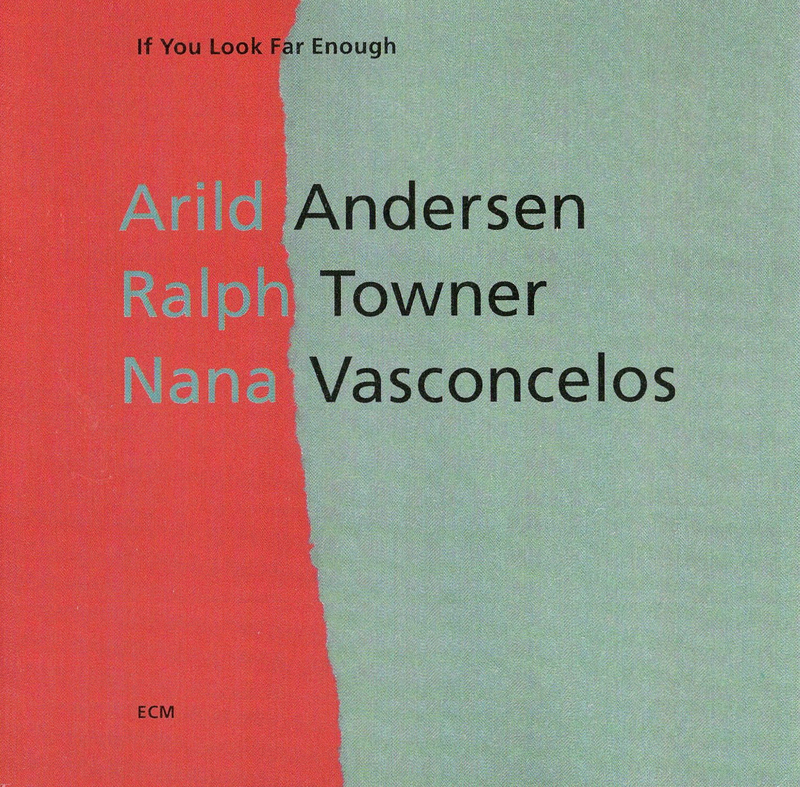 The microphones at ECM’s Rainbow Studio this time are privileged to witness an emotionally powerful session from bassist Arild Andersen, guitarist Ralph Towner, and percussionist Nana Vasconcelos. The session begins with something of a title track in “If You Look.” From this swell of drones and metallic whispers comes “Svev,” a scintillating piece that finds Andersen in a buoyant mood. “For All We Know” is a stunningly gorgeous duet between him and Towner—a match made in heaven. Andersen’s tender spaces are the perfect sky for Towner to spread his careful, classical wings. “Backé” continues this intimate reflection, only now with Vasconcelos’s auguries providing a more focused berth for Towner’s spindly ruminations. Vasconcelos adds a vocal swoon for effect. These two tracks are the heart of the album and could continue for its full length if they wished. “The Voice” begins with Andersen’s sustained calls, drawn out like cloud wisps on the horizon and providing a long-forgotten plain for the rhythm and tackle of Vasconcelos’s well-traveled feet. Andersen dips into some electronic augmentations, sounding like an infant foghorn with melodic growing pains. “The Woman” is a beautiful little duet for percussion and bass that works its tender embrace one muscle of sentiment at a time. Andersen’s deft monologue of serpents and harmonics carries the conversation over into “The Place” at a more urgent pace, working sidelong into an inspiring spiral. “The Drink” is another transportive duet, swaying like a caravan transport in the unforgiving sun. Next is “Main Man,” which jumps back into the rhythmic deep end with some funkier vibes, while “A Song I Used To Play” is a slow and tender build to Towner’s 12-string ebullience. “Far Enough” is another haunting drone of spectral footsteps that brings us into “Jonah,” a bass solo that smiles with all the wonder of new life. This album is something of a sleeper ECM hit and worth seeking out for fans of any and all of these musicians. Don’t pass it up.